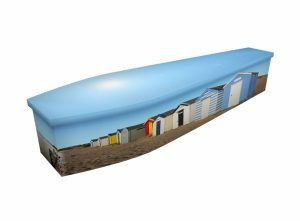 Jonny, Greenfield Coffins’ art studio manager, has worked on numerous scenic wooden coffin designs, ranging from space coffins to church coffins, countryside landscapes to seascapes. 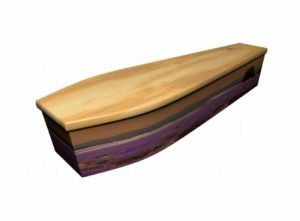 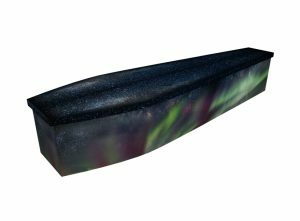 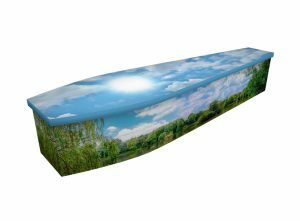 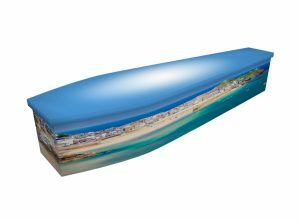 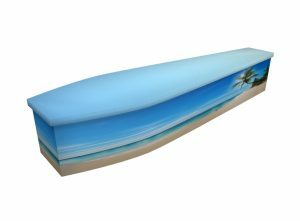 Natural vistas, flora and fauna, all tend to provide a peaceful, visually pleasing basis for coffin designs. Popular fauna-based designs include dolphin coffins and butterfly coffins. Browse our past designs for inspiration. You can select one of these motifs, or ask us to design a new one based on your ideas. 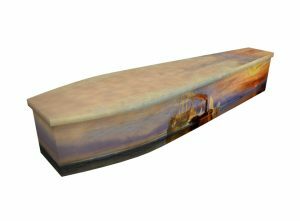 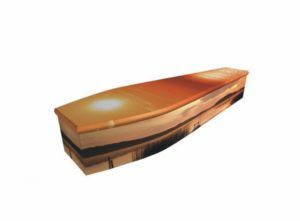 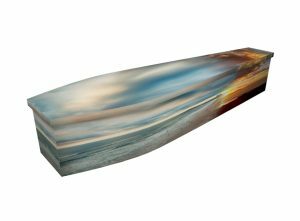 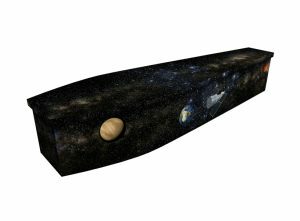 We have plenty of experience in realising such concepts, so the completed coffin encapsulates something of the deceased’s passions or personality. We aim to have a visual proof with you within 24 hours (via post or email). 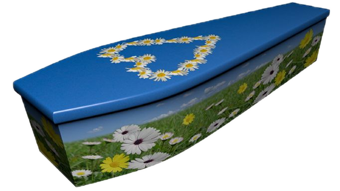 Once you’ve approved the motif, we’ll set about completing the coffin within the next 72 hours. Contact our design team today to talk through your ideas – or by selecting one of the designs on this page.